Sitecake works with regular HTML pages or PHP pages. Just add ‘sc-content’ CSS class to divs you want to make editable. 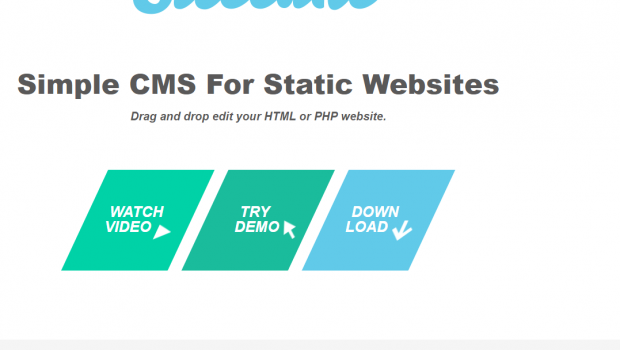 Sitecake manages static websites. Static websites cached with CDN services load lightning fast. For mobile users faster is better. For Google ranking too! Drag & drop items from everywhere: your desktop, other browser window, cloud services like YouTube, Vimeo, Google Maps, Twitter, … It works! Sitecake runs websites for non-profits, college projects, art portfolios, restaurants, bed and breakfast, lawyer offices, medical clinics, even multi billion dollar investment funds. See some below and visit the showcase page.